Alexander Press publishes and distributes titles in English, French, and Greek, with a special emphasis on Orthodox theology, iconography, spirituality, Mount Athos, as well as Greek history, modern Greek literature and Greek popular tradition, and materials that reflect the “Inner Greece” — the soul of Greece, the Romiosini, of yesterday and today. "Now All Things Are Filled With Light"
The troparion, the Hymn of Dismissal is sung. The Dismissal is given. You remain resting in peace, for the truth of the love that “has been poured into our hearts” (Rom 5;5). And the joy does not end. The Hymn of Dismissal at the end of Vespers is the beginning of Matins for the next day. We are already living an uninterrupted continuity in the day of the Church which knows no evening, the new creation and way of life in which all things are filled with light. The God-man is Lord of things in heaven and on earth. He is the Alpha and Omega of the life and salvation of all. Thus surrounded by the fullness of grace, we enjoy the beginning and the end, solitude and communion, hesychia and action, preaching and silence, art and theology, life and death. “Everything is now intermingled.” Everything acquires the dynamism of interpenetration with the divine. The world we live in has been called a ‘vale of tears’, a ‘place of weeping’ – perhaps with good reason. Wherever you turn you see pain, sorrow, undeserved suffering, death, and sin. The ‘ruler of this world’ (Jn 12: 31), the ‘world ruler’ (Eph. 6:12) is the devil. He is constantly to be seen. God, who is named ‘He who is’, meaning the One from whom everything comes into being, is nowhere to be seen. ‘No one has seen God at any time’ (John 1:18). That is why his very existence is a matter of dispute. He has, however, ‘revealed himself’ (John 21:1), and he promises to manifest himself to whomsoever keeps his commandments and loves him: ‘I will manifest myself to him’ (John 14:21). This book records simple events and conversations, all the while grappling with difficult questions. We see the human struggle to discover the person of God when that is veiled by the logic of this world, our limited understanding, and the arrogant pretensions of human littleness. The book engages intensely with complex and difficult issues . . . but which leave us confused and at times scandalised. What it does not do is give any direct answers, or try to persuade the reader through logic or impressive arguments. Its aim is to convey the sense of the discreet yet persuasive presence of the true God precisely in situations where He is not visible: in pain, in disability, in the tragedies of life, in inexorable death, as this comes across in true events and is reflected in the lives of real people. 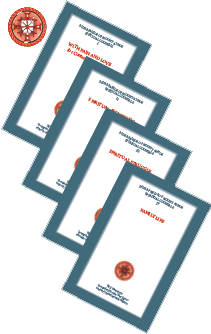 Volume VIII in the series “Orthodoxy in Dialogue with the Modern World”. 2013, 240 pages, soft cover. Papa Tykhon, whose name in the world was Timo­thy Golégoff, was born in the village of Nóvaya Mikháilovska in Siberia in 1884. He made his round of about two hundred Russian monasteries, as well as those of Sinai and Palestine. For sixty years he lived on the Holy Mountain where he fell asleep in the Lord on 10 September 1968. 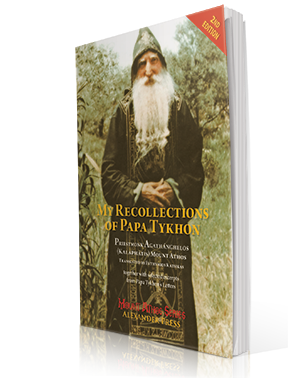 Priestmonk  Agathánghelos’ remarkable account of his experience with Papa Tykkon, his spiritual guide, shows us someone of profound faith, whose unwavering devotion, prayer, and love, stands as a beacon in our darkness. by Dr Jean-Claude Larchet. Translated by Fr Kilian Sprecher. 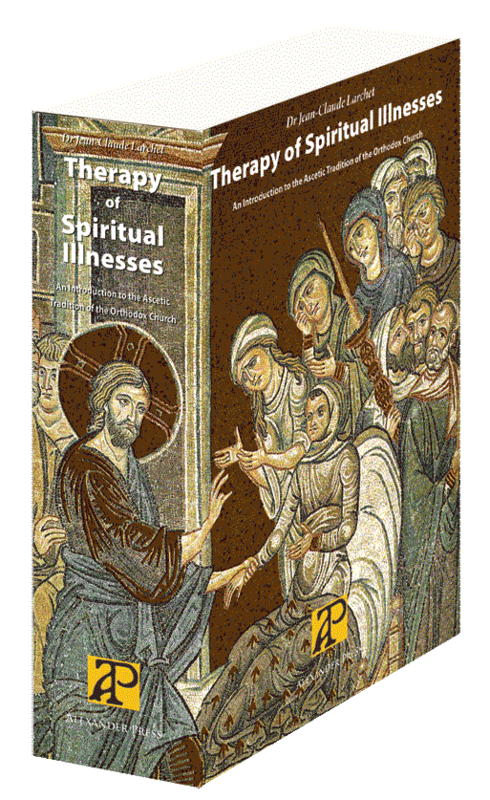 Dr Jean-Claude Larchet’s long-awaited great work, Thérapeutique des maladies spirituelles is published in English by Alexander Press. A vast synthesis of patristic and ascetic oriental teachings from the 1st to 14th centuries, this study presents a renewed vision of the Christian doctrine of salvation and constitutes a veritable treaty, both theoretical and practical, of spiritual psychology and medicine, as well as a summation of Orthodox spirituality that has no equivalent. The notion of human health held by Orthodox anthropology is inseparable from that of the ideal human nature possessed by the original Adam. Before being led astray, this nature was a synergy of Adam’s free will and of divine grace unto his perfection, i.e. deification. That is to say, human nature has a direction found in its different components: it is naturally oriented towards God and is destined to find fulfilment in Him. Dr Larchet shows how, according to Orthodox ascetical anthropology, man is in a healthful state when he achieves his destiny and when his faculties exert themselves in accordance with this natural aim. He shows, also, how sin, thought of as separation from being with God, establishes in man a manifold state of illness by turning him away from his essential goal . . . One sees from this how theanthropic asceticism, by which man is ontologically converted,constitutes a true therapy, in that such asceticism permits man to turn away from this pathological and unnatural state and to recover the health of his original nature by turning towards God. If Christ appears as a physician and the salvation He brings appears as healing, it is because humanity is ill.
Beholding mankind’s healthfulness in the primordial state of Adam, the Fathers and all of Tradition see the state of sin, which characterizes fallen mankind after the original sin, as a state of manifold illness affecting man in his whole being. This notion of mankind as sick from sin finds scriptural support, which the Fathers did not fail to use. In the example of the Prophets, the Fathers call to mind the inability of the men of the Old Covenant to find a remedy for their ailments, however serious these were, and their calling to God throughout the generations. God’s favourable response to this call was the Incarnation of the Word, Who alone could effect the awaited healing because He was God. Tommy is a curious, sensitive boy, raised in the wilderness by wolves. He loves his life, yet an occasional sadness washes over him, as a reminder that his soul thirsts for something more. One day, Tommy’s heart welcomes a divine spark of love that washes away his sadness, renews him and cleanses his soul. Tears of joy stream down his face when his soul, hearing the knock on its door, opens up. Tommy, sometimes resembling “Doubting Thomas”, needs to see in order to believe, so he leaves his wolf family. 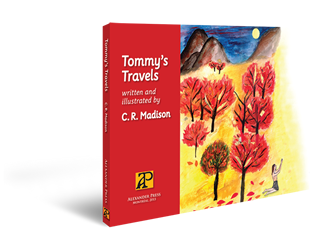 Tommy sets out on a journey to discover the Source of his mysterious joy, a journey in which he also finds himself. Tommy’s Travels remind us that throughout our own journeys we must have faith, courage, patience, and self-acceptance, but we must also journey with gratitude, peace and love in our hearts. Influenced by the Elders Paisios and Porphyrios, whose teachings and lives in our times are close to the heart Orthodox spirituality, Dr Madison, through her text and wonder­fully evocative illustrations, also conveys the significance of God’s natural world, of which we are all a part. ALEXANDER PRESS Montreal;, Quebec, 2014. 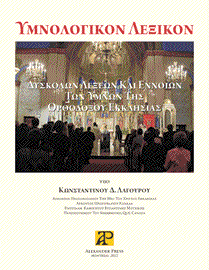 An anthology of the most significant Orthodox theological writing from Synaxis, the major Orthodox theological journal of Greece, from 1982 to 2002. 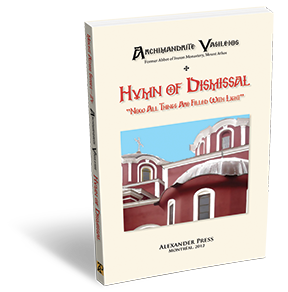 This dictionary of Orthodox hymnological terms is without precedent. Its historical completeness is remarkable, with many terms not elsewhere defined, and will constanly reward students and practioners of Orthodox chant. 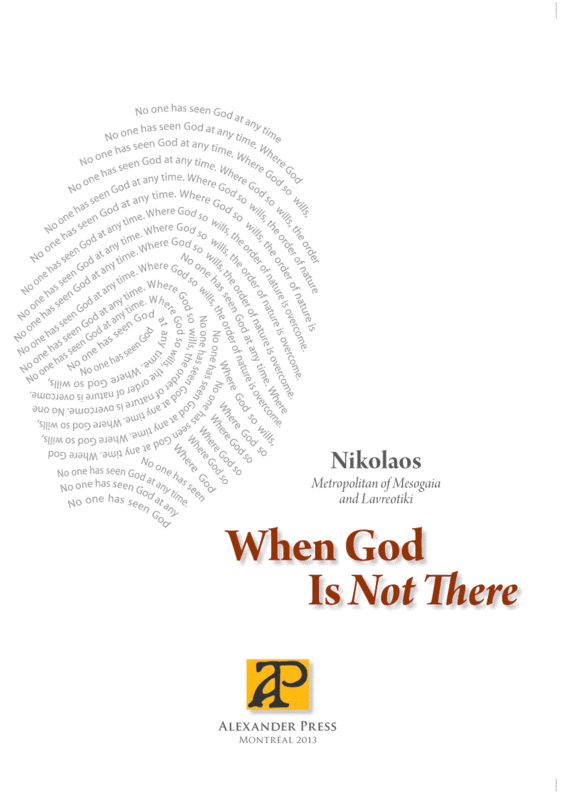 This is the incredible story of the distinguished theologian, Aristides Hadjinicolaou (1915–1982 ad), told in his own words, of his experiences in the years of occupation and war in Greece from 1940 to 1950, illustrating the comforting love and providence of God. 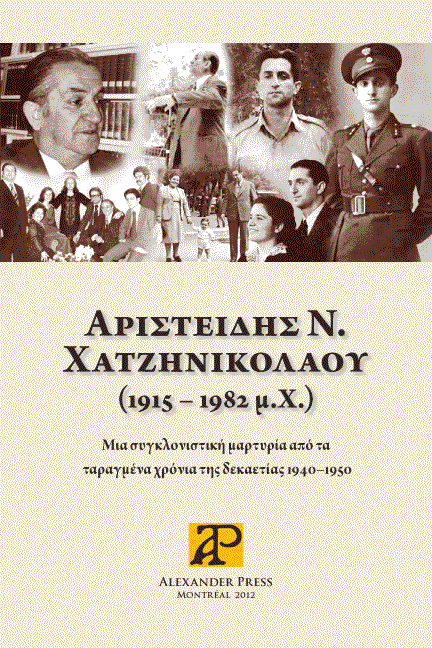 His story, which he only told in 1976, is dedicated to his wife Lina (†1986 ad) and his five children (Nikos, John, Dimitris, Vassilis and Anthousa), who published it quietly, distributing it gratis in his memory on the thirtieth anniversary of his passing. 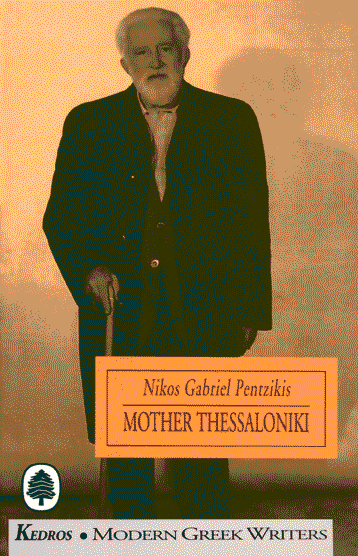 Nikos Gabriel Pentzikis (1908–1993) was a painter and writer known for his in depth study of Byzantine tradition and as a courageous defender of Orthodoxy in the modern world. The most modern of Greek writers, the most distinctly Greek, he assembles his pieces so that, beginning in alienation, with the recalcitrance and transience of things, the casual cruelties of space and time, they reach out, through the luminous Orthodox immanences of the past, the reverberations of historial memory, towards an inclusive density of present experience. Pentzikis “identified himself closely with his native Thessaloniki. In [Mother Thessalonkiki] . . .
he identifies the parts of his body with the areas and historical periods of Thessaloniki. Overlooked and largely rejected by academics for many decades, Papadiamandis’s work is finally coming into its own. Professor Keselopoulos reveals with great warmth and sympathy, the spiritual depths and Orthodox richness of Papadiamandis through his depiction of the traditional life of his native Skiathos, a living liturgy. Keselopoulos also shows how Papadiamandis’s creative work, as he is an authentic bearer of the Church’s tradition, becomes tradition. As with Dostoevsky, Papadiamandis’s faith transforms his work, providing it with an authentically Orthodox spiritual dimension absent in most modern art. 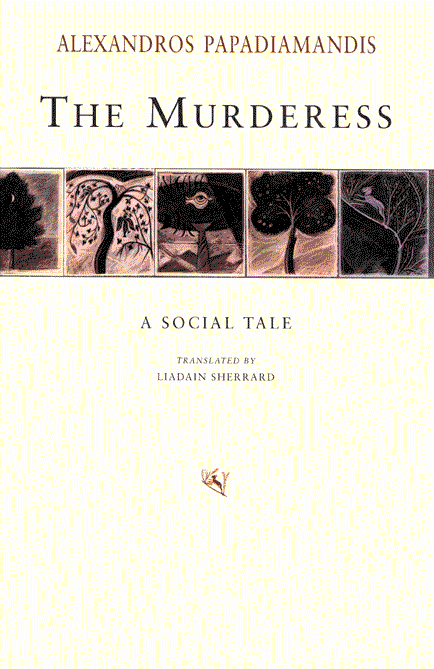 From its first appearance in 1903 The Murderess has been regarded as Alexandros Papadiamandis’s finest work. 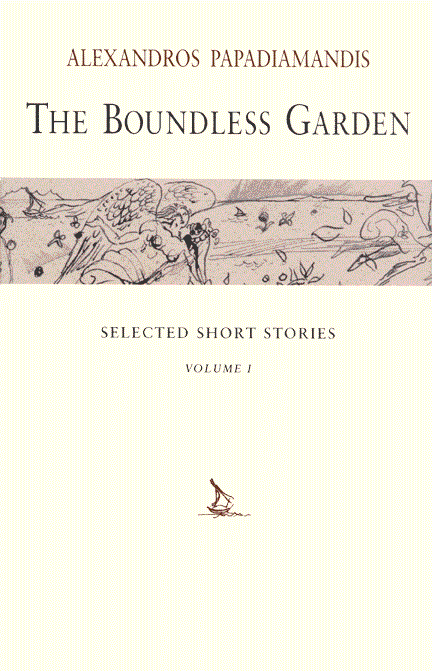 Set on his native island of Skiathos it tells the story of Hadoula, a widow with grown-up children, who has convinced herself that it is better little girls should leave this life when young so that they and their parents should not suffer the trials that inevitably would be inflicted on them by an inequitable society. He explores the particular quality evil has of disguising itself as good, but without ever passing judgement on the murderess herself. Long considered one of Greece’s most important writers, Papadiamandis’s reflections on modern Greek life define the Greek experience in a way unmatched by any of his contemporaries. 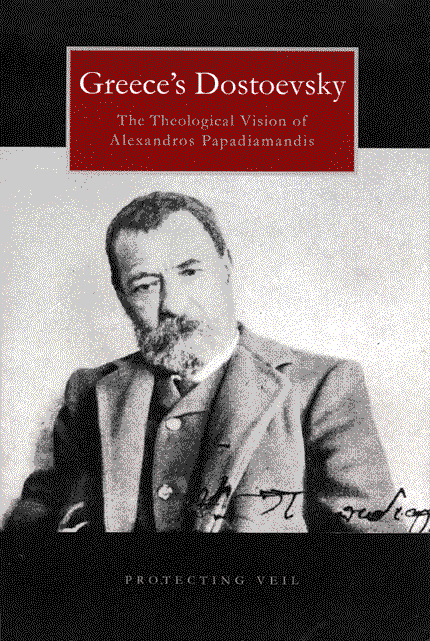 Alexandros Papadiamandis lived in the midst of an uncertain age of transition for modern Greece. It was a period of post-Enlightenment turmoil that followed closely on the heels of Greece’s War of Independence, when the traditional old ways were being undermined and were fast disappearing under the pressure of the indiscriminate adoption of western mores and ideas. His reflections on and observations of some of the most complex facets of Greek life in both his native island of Skiathos and in urban Athens during this time define the modern Greek experience in a manner unattained by any of his now forgotten contemporaries. His loving attachment to the old traditional ways have marked him out for some as conservative, even reactionary, but it was an attachment tempered with an innate and deep understanding of how the past breathes life into the present. 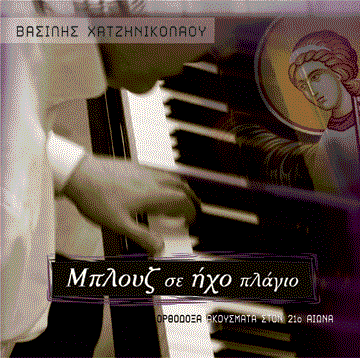 Hymns and chants of Orthodox hymnography adapted in an unprecedented way, blending the Byzantine tradition with influences of contemporary blues, rock and jazz, creating exciting sounds that transport the listener to new realms of joy and inspiration.